I've been mulling over my garden plans for the past few weeks, partly because I am already behind with my scheduled completion date, but also because there is nothing more that I desire right now than to have my outside space ready for beautiful afternoons of sunbathing and entertaining my faves. I've played with the idea of doing the garden myself with the help of a few DIY savvy family members, but because I struggle to find time between my 9-5 and my own DIY projects I've decided to get a few quotes from specialist landscapers to see what they can do for me; in the short space of time that I'd like it done. Anyway, if you're like me you'll love having a beautiful space outdoors where you can relax, meditate, entertain or whatever you fancy. There is nothing like the outdoors on a summers day, or any day for that matter... (although I'm not sure we'd fancy it during a storm). 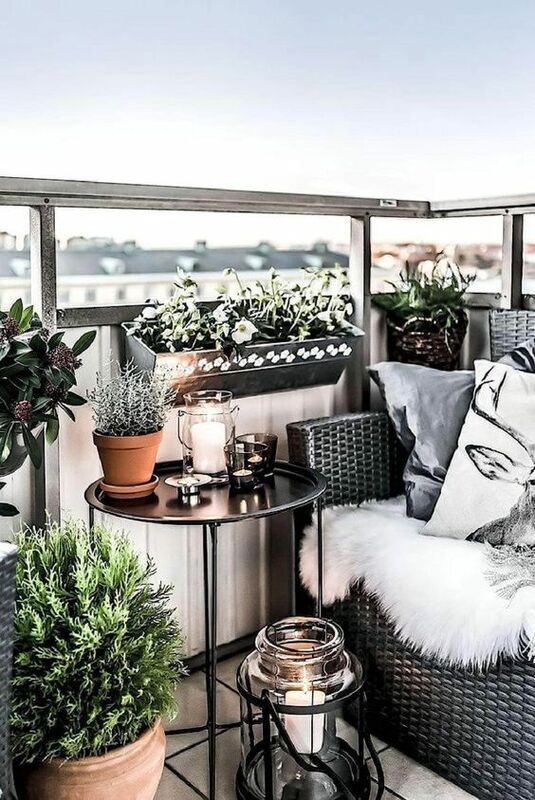 I've pulled together my fave collection of summer garden/ balcony trends, with some ideas on styling your garden and some of my favourite products right now to add a little "YASSSSSSSS" to your outside space. So whether you have a decent sized garden or a smaller space/ balcony area, I've got you covered to get it poppin' this summer! Right, so where do we start with transforming your outside space from one that might be cluttered, too grassy or completely unstyled? With a good old wash, cut and blowdry of course! If you follow me on snapchat/ instagram you may have seen some of my cries for help when I've been out in the garden trimming back all of the trees and bushes and cutting the grass using my little pal STRIM (that's his road name). Don't get me wrong, I love the during and after stages of getting stuck into some garden DIY, but my gosh does it take forever- and my garden isn't even that big! As much as I love STRIM (also known as a strimmer to the average joe), I really wouldn't recommend it for anyone whose life is time sensitive or wants to achieve a "I've just moved the lawn" look once the grass has finally been cut. My obvious recommendation would be a lawnmower because a) the finish looks neater, b) it is less time consuming and often more powerful and c) you could even do your neighbours and earn yourself a quick score! Here's a Bosch one that I've heard good things about which is currently priced at £158 on Amazon. If you have a small space to maintain, don't want to splash out or really don't mind how long it will take then I'd suggest starting with a strimmer, as they are still very reliable and totes more compact than a big old heffa of a lawnmower. This is the one I use which I bought for £12.95 from Homebase. Don't be put off by the price; it actually works really well! I've also included some other garden tools I think come in handy when tackling the space yourself, but if I've missed any let a girl know! Right, now that we've got the "essentials" out of the way, I'd love to share some of my favourite garden styles that I am REALLY digging at the moment...(no pun intended). As you know, I am big on colour and really love to incorporate it into everything; from my own personal interior choices to lipstick. I always tend to start off with my go to base colours which in my home are grey, silvery, charcoal tones; and then build my colour in once I have an idea of how it will all come together. But you don't have to do it my way. I know loads of stylists and designers who jump right in once they've got their colour palettes established and I am slowly bringing this approach into my thinking; which is exactly where I'm going to start here. So if you're ready to get your garden summer ready...read on! Cassie & Dylan opted for tropical boho vibes for their perfectly styled outdoor space. Clean and simple was the inspiration behind Earth Design's client space featured here. 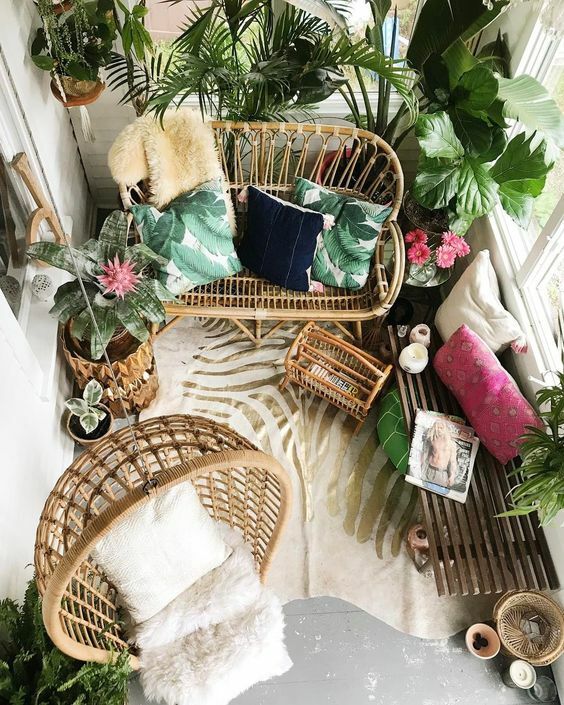 Lovely boho glam design by Interior Stylist and Blogger Kimberley who completed the look with an array of plants. 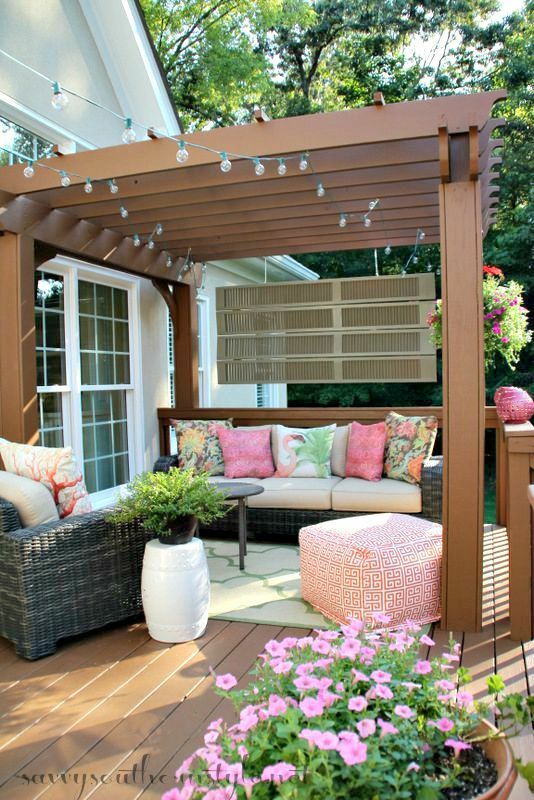 Alex Gladwin wrote all about her desire to upgrade the decking in her home to something more rustic looking like in this gorgeous neutral scene. A well designed neutral contemporary space which has been perfectly zoned as featured by DIY & Crafts Magazine. I’m a huge fan of the Apartment 15 blog so it was no surprise that this gorgeous tribal botanic themed space was going to be a fave. Got an idea of what you'll be working with? Great! Let's move on to looking at some of the hottest interiors to style your space with right now. But if you've not quite found the inspo you've been looking for, have a look at the bottom of this post for more stles... or just click here. Once you've got your decor style and colour palette all figured out and your space all clean and tidy, you can get to my personal fave part; adding in your interiors. 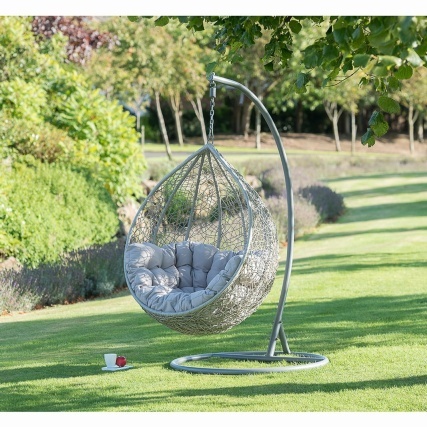 Although I have an idea of the type of furniture I want in my garden I haven't actually started shopping around for specific items, so this part was a little treat to me too. 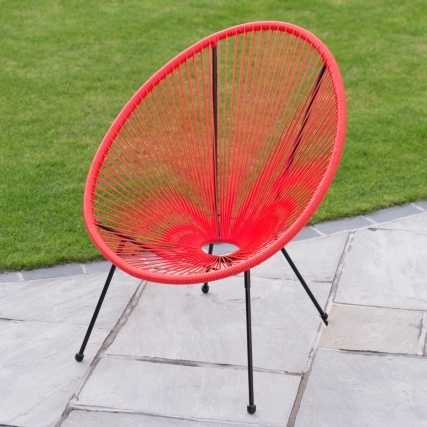 This funky, modern chair will add a touch of fun and comfort to your garden or home. The comfortable chair includes a luxury cushion. Provides a smooth rocking action. Suspended basket is secured safely. 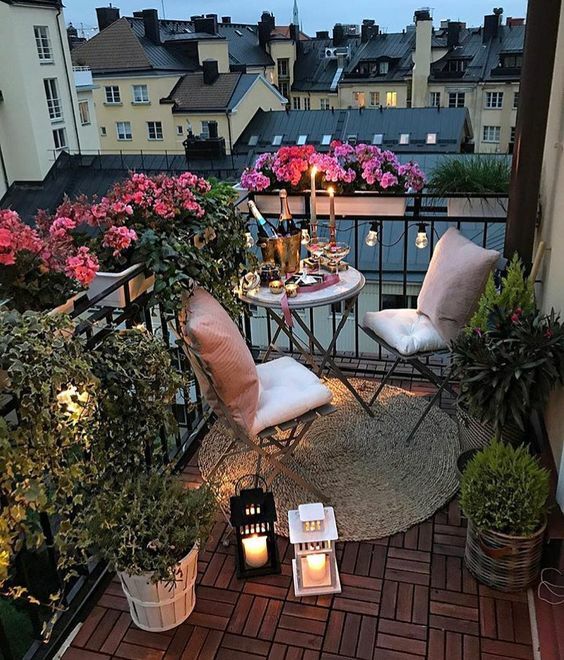 Nothing screams 'Chic' more than a cutesy little bistro set for a balcony space; and they also make for the most luxurious brunch environments and totally grammable. 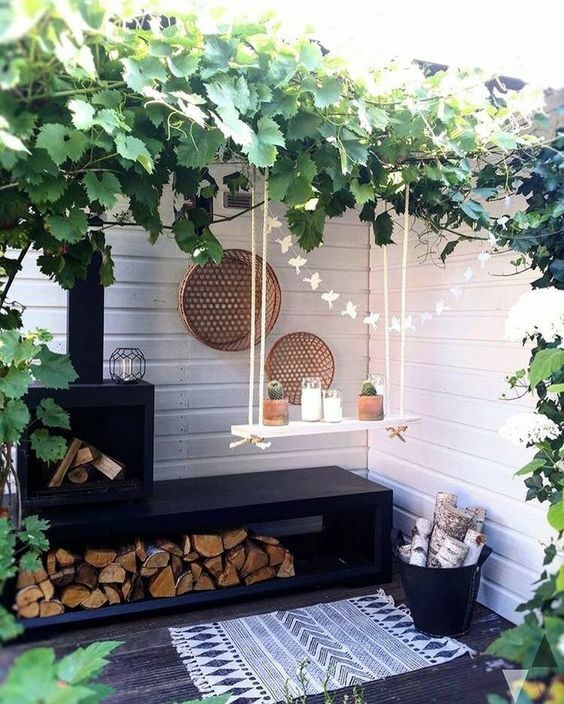 String lights will always be a fave for decorating outdoor spaces because they're cheap, portable and can be moved around when you fancy changing things up. I've particularly been loving CottonBall Lights recently. I just ordered a set of lights for my bedroom that I designed myself using the Mix & Match tool on their website, and with the help of the lovely owner I was guided on the size I need and also how to navigate the design tool. If you do visit their website, be sure to select "UK/ relevant country" in the top right hand corner and it will translate the page for you. And Habitat are the perfect place for vibrant. patterned interiors to bring some LIFE to your little hangout. The BOBSY Multi-Coloured Ceramic Vase is THA BADDEST vase I’ve seen in the longest time and at £30 I am even more in love with it. Kudos, Habitat! Most of you will already know that I've got a real thing for geometric patterned fabrics and textiles; so as if I needed an excuse to feature some here. Need some more inspo to get you started on planning your summer garden, balcony or terrace? Here's some more eye candy pics of my fave outside spaces right now. What's your go to look for summer this year? 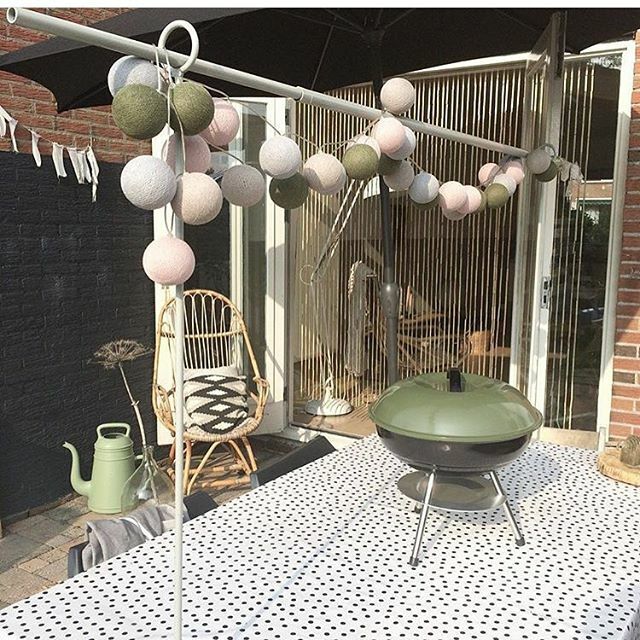 Do you theme your garden aesthetic or just add in items you love?